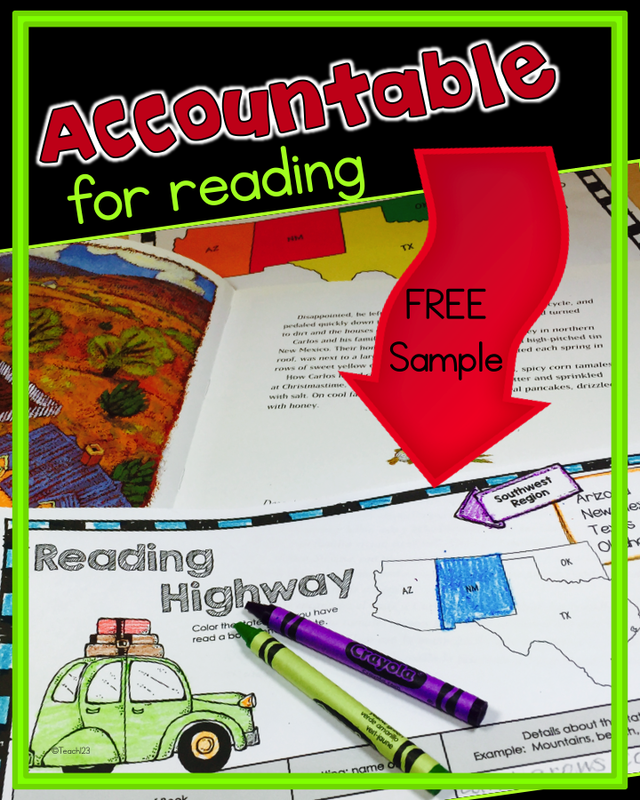 How do you hold your students accountable for their reading? Reading logs? Reading Goals? Incentives? In the picture above in one of the ideas I tried that integrated reading with social studies. Students read books from different regions. I organized some of the books in my class library into regional tubs. Students were put into different regional groups. You can read more about this HERE. You can get a free sample of my Reading Highway log HERE. Reading is like any other skill, the more you practice, the better you get. But, what do you do if you teach in a school (that for whatever reason) where the students do not practice at home? I have found a few things that help. 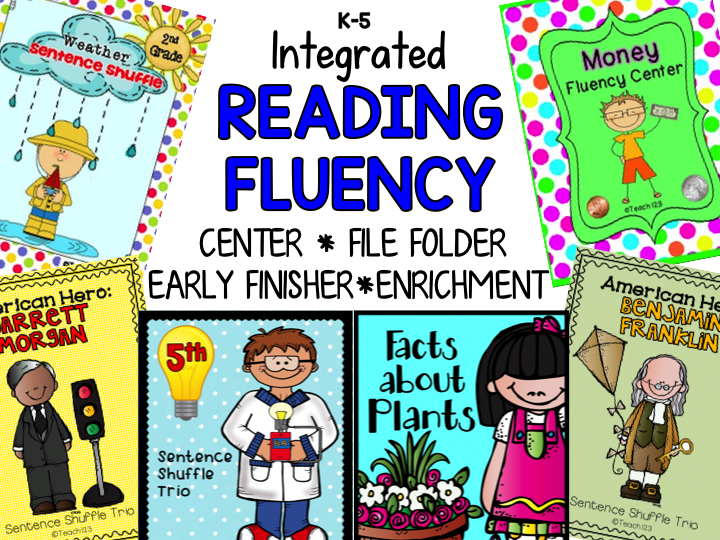 First, integrate reading fluency activities with your other subjects. 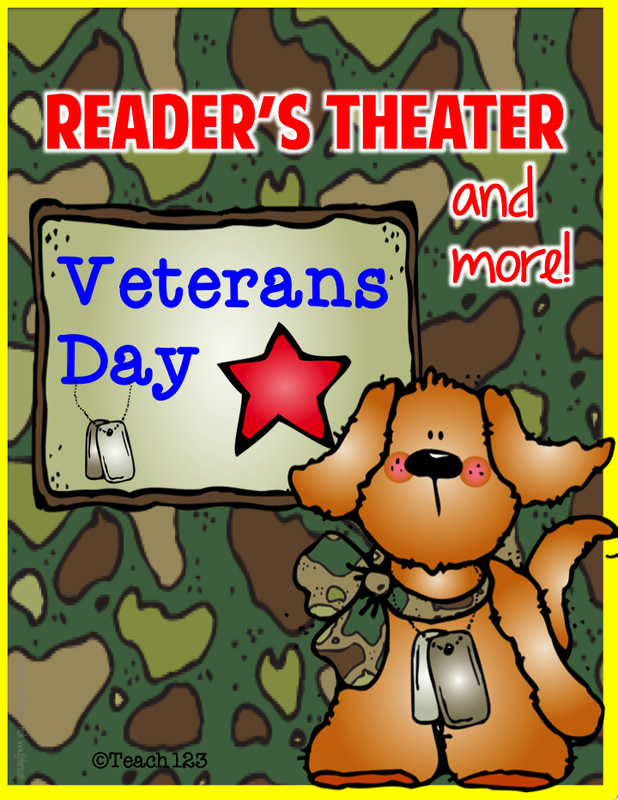 Your students can learn about Veterans Day while reading and performing this Reader’s Theater play. It is free. 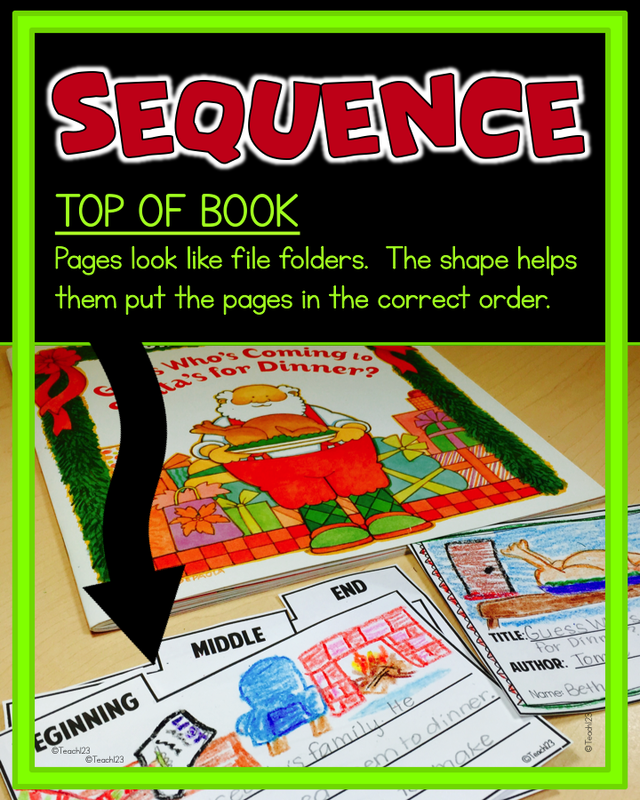 I made fluency centers called Sentence Shuffle Centers, that can also be made into file folder activities if you have a small classroom. I have Sentence Shuffle Centers for reading levels K-5 because I have yet to teach a class where the entire class was all on the same reading level. I was always looking for enrichment and remedial activities. 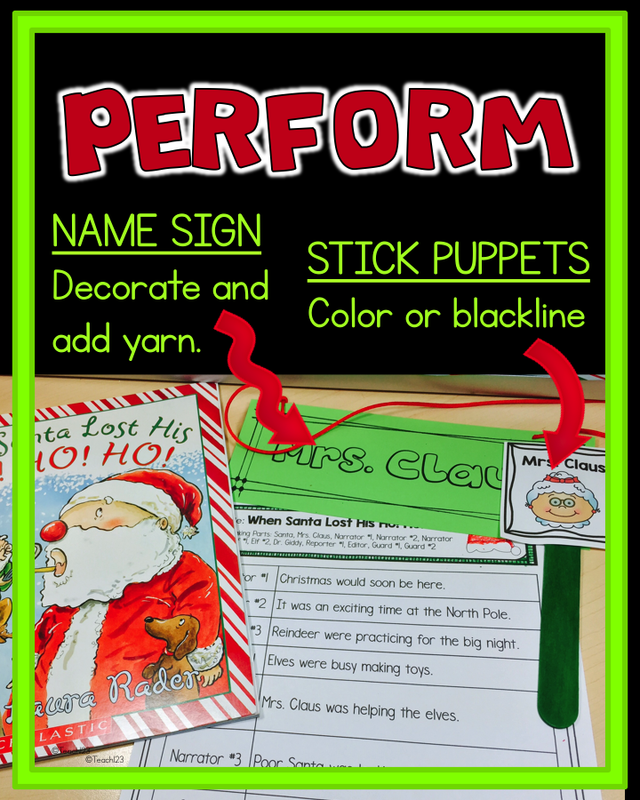 You can set this up as an early finishers activity or standard center that your students go to each week. They will know the format which saves you time explaining the directions each week. Would you like to try this with your class? I have a couple of free ones. I have more Fluency Centers HERE. 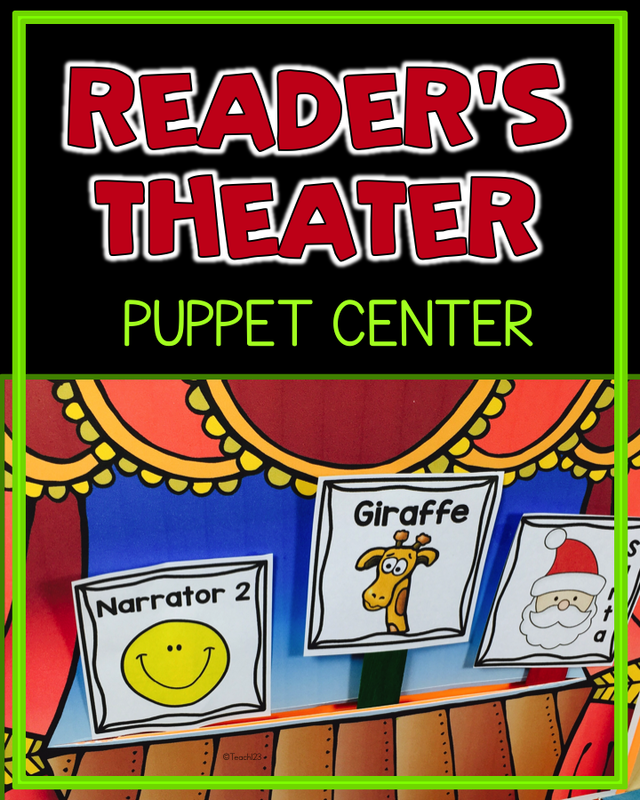 Reader’s Theater plays are a great way to strengthen your students’ fluency skills. If you happen to have a talkative class this year, I HIGHLY recommend you trying it – if you haven’t yet. 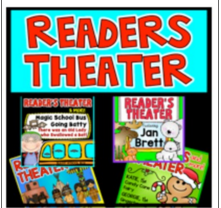 Reader’s theater gives students an outlet for all of this “verbal energy” or words that they just seem to need to express. I call it guided conversation. Hey! If they are going to be chatty, I want to give them the topic of their conversation. Which is why you will notice that I have quite a few Reader’s Theater and more scripts that have themes that are perfect for October – January. It seems like there are so many holidays during that time period so even if you don’t normally have a talkative class, the holidays will work its magic on your class. There are a variety of props included with each file. I attach the stage prop to a file folder. Cut a slit in it for the stick puppets. You can set this up as a center or small group activity. There are also name signs that students can wear when performing before an audience. 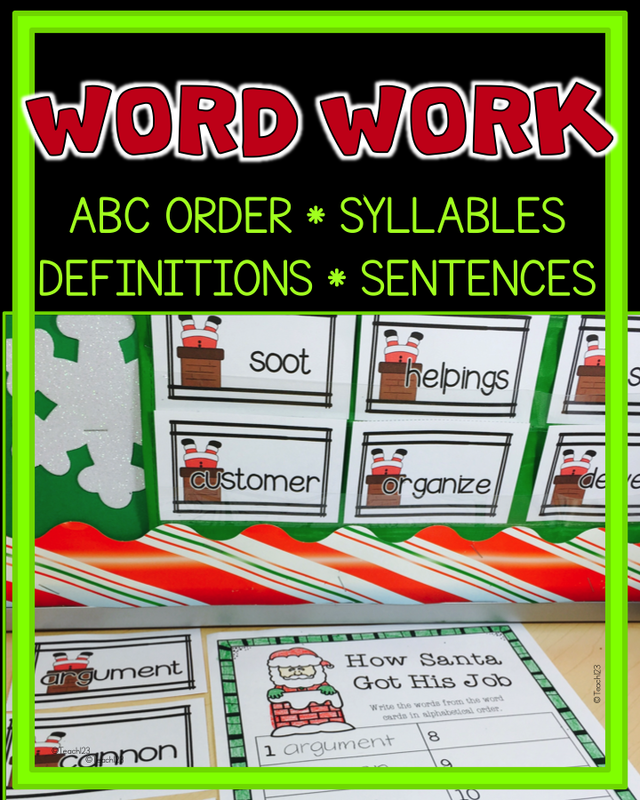 This is a picture of some of the word cards included with my latest Santa themed file. There are 14 word cards for each story. Story themes are: When Santa Lost His Ho! Ho! Ho! and How Santa got his Job. Print 2 copies and make a memory game. Sort words by number of syllables. Write and illustrate about the important events that occurred in the beginning, middle, and end of the book. Read a different book about Santa. Use the “Tell Me About It” book to tell about the story. 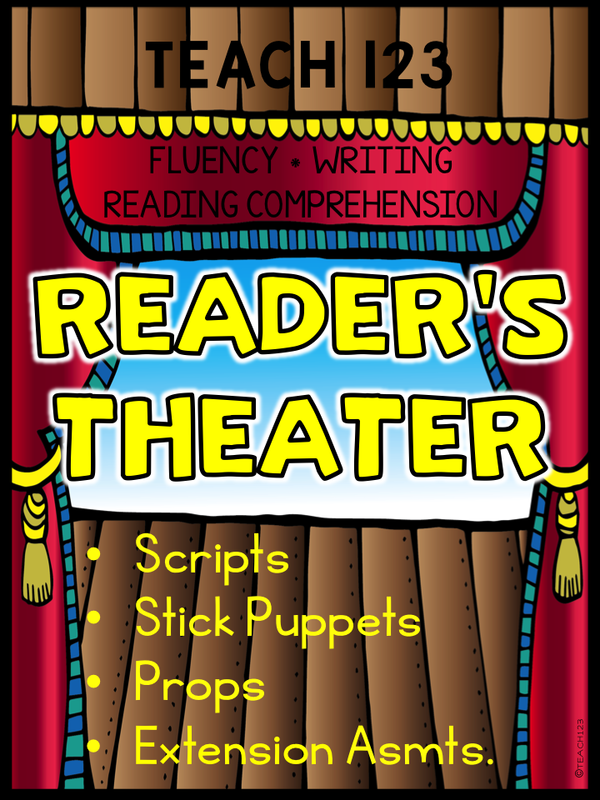 Reader’s theater is also a good way to help your students grow as writers. Put your class in small groups or with a partner and let them write a script about a favorite book. 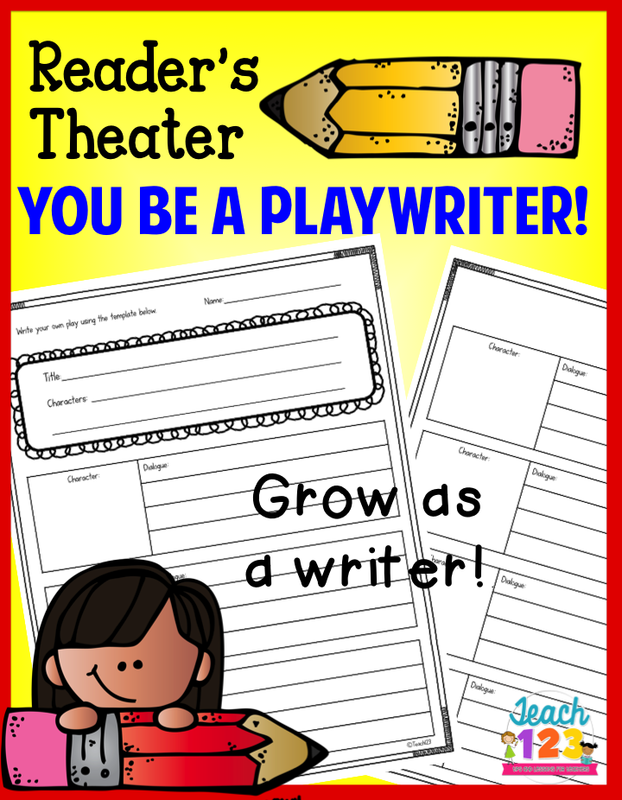 Each packet includes “You be the Playwriter” template. 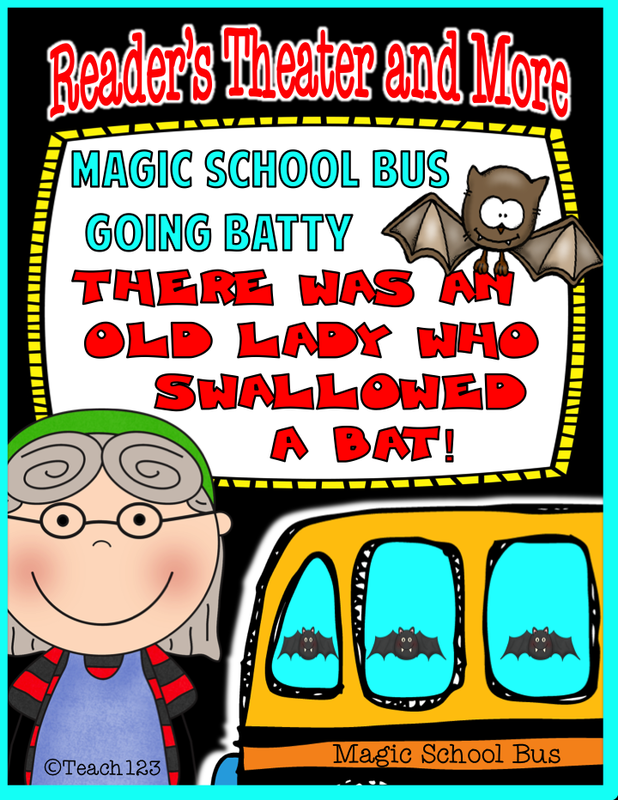 Magic School Bus: Going Batty: This is not Halloween themed which is great when your school does not allow Halloween lessons. Or it can be used with your mammal unit or any time of the year. There was an Old Lady Who Swallowed a Bat: This script is based on this book. I added to the story to give the characters dialogue for the script. Have your students compare the book to the script to see if they can find all of the differences. 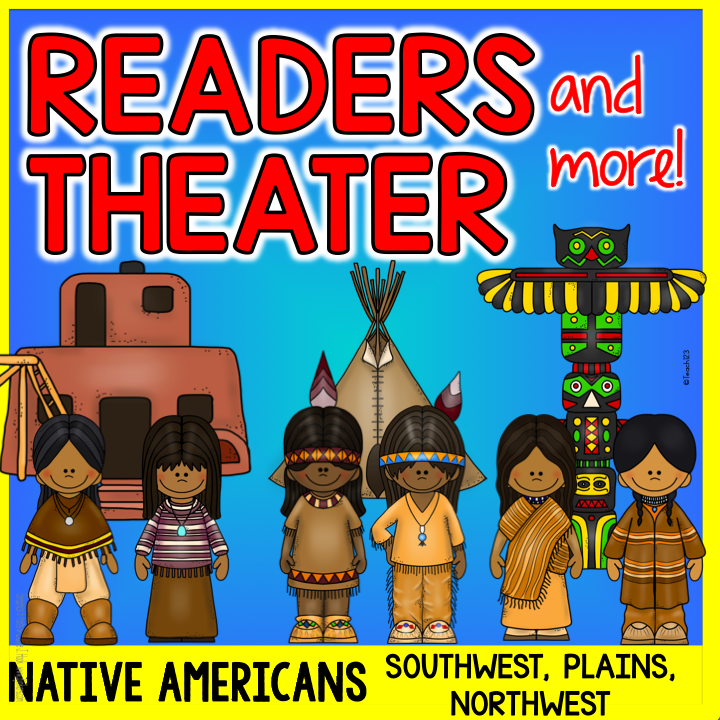 Native American Tribes: Southwest, Plains, Northwest Students study facts about Native American with these play scripts. This is not Thanksgiving themed. It is can be used at anytime of the year. Click HERE if you’d like to check out Native American Readers Theater & More. 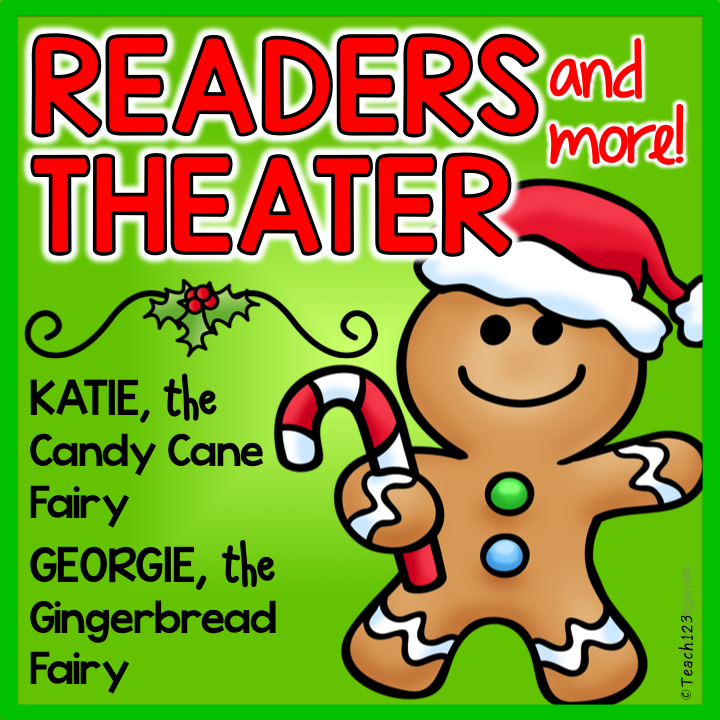 Katie, the Candy Cane Fairy and Georgie, the Gingerbread Fairy This script is based on these books by Tim Bugbird. 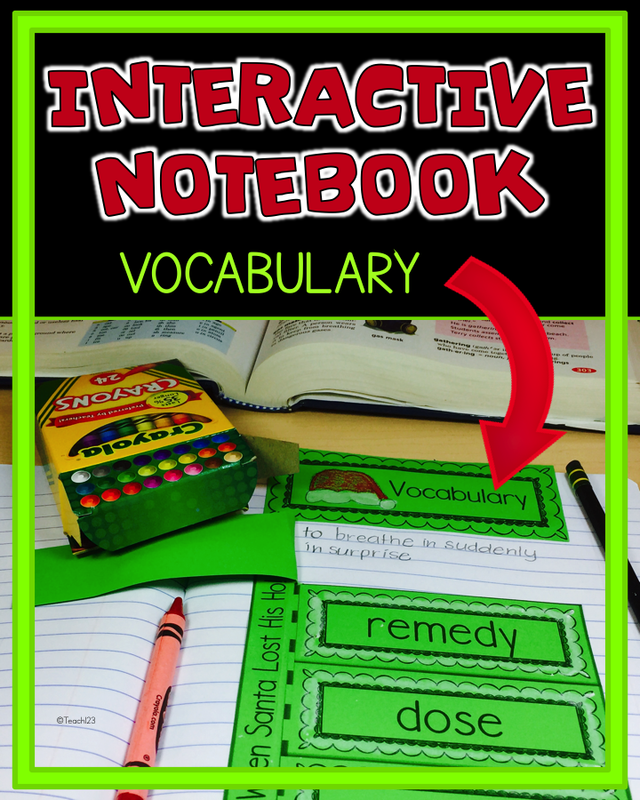 Your students will love the glitter word extension assignment. I wrote a blog post that about this which includes a freebie. 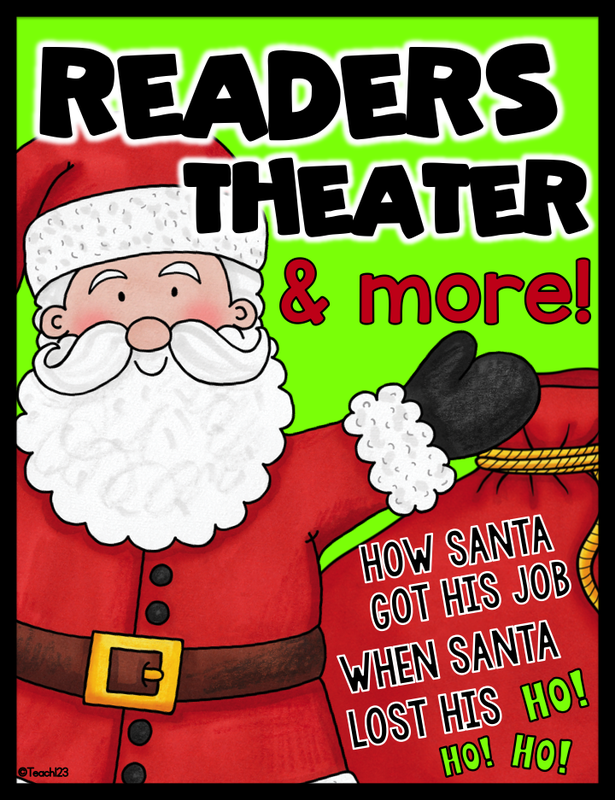 Click HERE if you’d like to check out my Christmas themed Readers Theater & More. Jan Brett: Annie and the Wild Animals & the 3 Snow Bears This would be a great addition to an author study. Jan Brett is always a favorite author of my students. 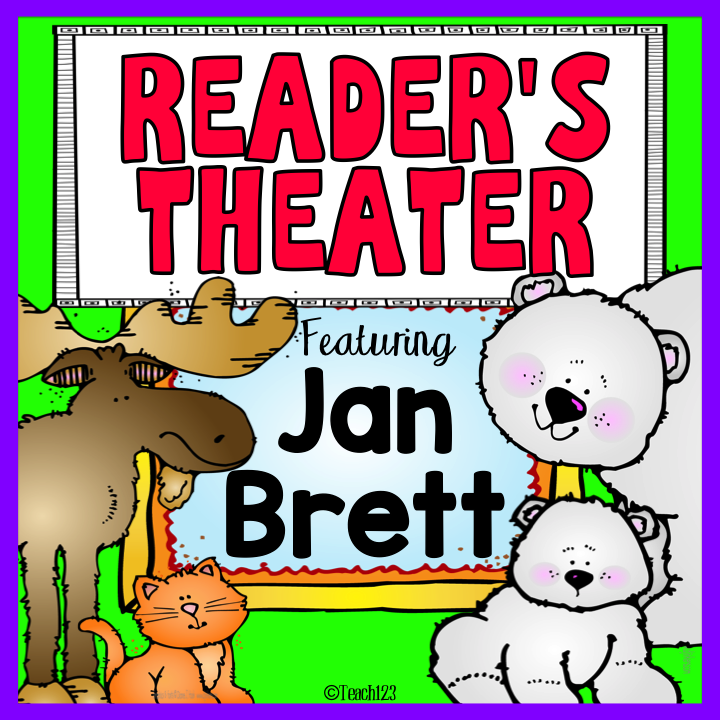 Click HERE if you’d like to check out my Jan Brett themed Readers Theater & More. Save money with the BUNDLE! Click HERE to check it out. How Santa Got His Job & When Santa Lost His Ho! Ho! Ho! This script is based on these books. These are high interest lessons that are perfect for the week(s) before the winter break.